The risk of cyber attacks targeting ships' satellite navigation is pushing nations to delve back through history and develop back-up systems with roots in World War Two radio technology. 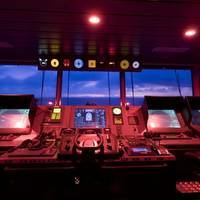 Ships use GPS (Global Positioning System) and other similar devices that rely on sending and receiving satellite signals, which many experts say are vulnerable to jamming by hackers. About 90 percent of world trade is transported by sea and the stakes are high in increasingly crowded shipping lanes. 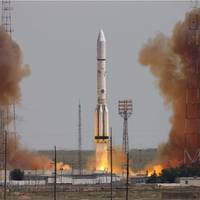 Inmarsat, a provider of global mobile satellite communications, has confirmed the successful launch of the fourth, high-speed broadband communications satellite in its transformational Global Xpress (GX) constellation. Inmarsat GX is the world’s first globally available, broadband connectivity service and was created to enable communities across the world to benefit from the emerging digital society. 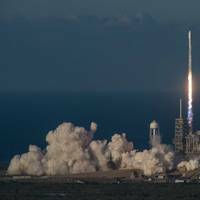 Inmarsat-5 F4 (I-5 F4) was launched by SpaceX on a Falcon 9 rocket at 00:21 (BST) / 19:21 (ET) from the historic launch pad 39A at NASA’s Kennedy Space Center in Florida. The Navy's fifth Mobile User Objective System (MUOS) satellite has reached operational orbit and has successfully deployed its arrays and antennas. On Oct. 22, the MUOS team raised the MUOS-5 satellite to an operationally-suitable orbit. The team completed a series of deployments of the satellite's solar arrays and antennas, with the last occurring successfully Oct. 30. MUOS-5 launched June 24 from Cape Canaveral Air Force Station and experienced a failure of its orbit raising propulsion system that halted the satellite's transfer orbit maneuver to its geosynchronous test orbit. Intelsat S.A. (NYSE: I), operator of the world’s first Globalized Network, powered by its leading satellite backbone, announced the successful launch of the Intelsat 31 satellite, which is hosting the DLA-2 payload for DIRECTV Latin America. Intelsat 31 was launched from the Baikonur Cosmodrome, Kazakhstan aboard an ILS Proton launch vehicle. Liftoff occurred at 7:10 GMT. The Intelsat 31 satellite separated from the rocket’s upper stage at 22:41 GMT, and signal acquisition has been confirmed. Mitsubishi Heavy Industries, Ltd. (MHI) delivered the "Jinryu" submarine to the Japanese Ministry of Defense (MOD) today in a ceremony held at the MHI Kobe Shipyard & Machinery Works' No.3 pier in Kobe, Hyogo Prefecture. The Jinryu is the seventh Soryu-class submarine supplied to the Japan Maritime Self-Defense Force (JMSDF), and the fourth built by MHI. MHI also built the first Soryu-class submarine, and has produced a total of 26 submarines at the MHI Kobe Shipyard over the last 70 years. After a two-day delay due to tropical storm conditions, the Navy's fourth Mobile User Objective System (MUOS) satellite launched at 6:18 a.m. EDT from Space Launch Complex 41. MUOS-4, whose signal was acquired approximately three hours after launch, completes the initial operational constellation and provides near global network coverage for warfighters and combatant commanders. This array allows mobile forces, including submarines, surface ships and aircraft, to communicate around the world via the narrowband spectrum. Mitsubishi Heavy Industries, Ltd. (MHI) and Mitsubishi Hitachi Power Systems, Ltd. (MHPS) have planned to reorganize their their Nagasaki Shipyard & Machinery Works and Nagasaki Works respectively. The coordinated decisions are aimed at further strengthening global competitiveness, particularly in terms of technologies, costs and efficiency, by pursuing higher productivity through consolidation of their manufacturing sites by product: at MHI in the area of defense and space systems, and at MHPS in operations involving thermal power generation systems. The Navy's third Mobile User Objective System (MUOS) satellite was launched today at 8:04 p.m. EST from Space Launch Complex 41. This communications satellite will significantly improve capability for Navy and Department of Defense tactical operators. Over the next several days, the satellite will transition to its geosynchronous orbit location 22,000 miles above Earth. Its solar arrays and mesh antennas will then be deployed and on-orbit testing will begin for eventual commissioning into service. U.S. Navy military and civilian engineers are preparing the latest military communications satellite for a planned Jan. 20 launch from Cape Canaveral Air Force Station, Florida. 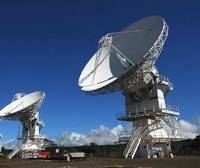 The satellite is part of MUOS, or Mobile User Objective System, which operates like a smartphone network from space, vastly improving secure satellite communications for mobile U.S. forces. Unlike its predecessor system, MUOS provides users a global, on-demand, beyond-line-of-sight capability to transmit and receive high-quality voice and mission data from a high-speed Internet Protocol-based system. On August 18 Mitsubishi Heavy Industries, Ltd. (MHI) opened its newly revamped M's Square showroom located on the second floor of the Shinagawa Head Office Building in Tokyo. The showroom layout has been reorganized into separate areas each introducing the technologies and products of one of its four business domains, following the company's shift to the new domain-based structure this April. A number of new features have also been added, including a spectacular 180-inch multi-display and a "News Archive" where visitors can freely browse news topics relating to the MHI Group. The first Inmarsat-5 (I-5) satellite has now passed two major test stages in preparation for the launch of Global Xpress. One of three in Inmarsat’s new Ka-band broadband network – the satellite has been subjected to extensive mechanical and thermal tests at manufacturer Boeing’s Satellite Space Systems International (BSSI) in El-Segundo, California, US. The tests were designed to prove its ability to survive being blasted into space and to cope with the harsh thermal environment of geosynchronous orbit. “The satellite has now passed the mechanical and thermal testing with flying colours and is on schedule to be completed in early November – ready for shipment to the launch site,” said Franco Carnevale, Inmarsat's Vice-President for Satellite and Launch Vehicles. Intelsat Announce Numerous Executive Appointments. Intelsat’s Board of Directors elected Dave McGlade, currently Deputy Chairman and Chief Executive Officer, to the position of Chairman and Chief Executive Officer, effective April 1, 2013. Mr. McGlade has served as the Company's Chief Executive Officer for eight years. Mr. McGlade has appointed Stephen Spengler to the position of President and Chief Commercial Officer, effective March 18, 2013, a new role for the Company. 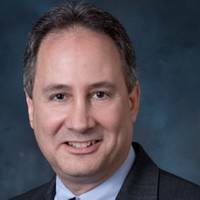 Mr. Spengler has been with Intelsat in various executive positions since 2003, most recently serving as Executive Vice President, Sales, Marketing and Strategy. 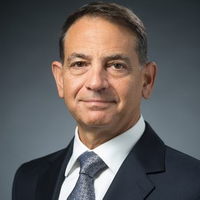 Mr.
Northrop Grumman Corporation (NYSE:NOC) announced that Mitchell "Mitch" B. Waldman has been named to the position of vice president, government and customer relations at its Shipbuilding sector. In his new role, Waldman is responsible for the development and management of the sector's government and customer affairs programs and is directly involved and engaged in supporting company business objectives. He will report to Mike Petters, corporate vice president and president, Northrop Grumman Shipbuilding. Elbit Systems Ltd. (NASDAQ:ESLT) announced that its subsidiary, Elisra Electronic Systems Ltd. (Elisra), was awarded a contract by Lockheed Martin Canada Ltd valued at approximately $55m to supply Electronic Warfare (EW) equipment for the Canadian Navy's Halifax Frigate Modernization program. Elisra's systems were selected after meeting the strict standards and challenges required by the customer. Elisra CEO, Itzhak Gat, said he takes great pride in the decision of Lockheed Martin Canada to select Elisra over others in industry. Gat noted that Elisra has had a longstanding relationship with Lockheed Martin Canada, based on professional cooperation and trust, as well as the use of advanced domestic technology. The crews of U.S. Navigation Systems Division. or replies to, a shipboard weapons system. to requests for priority target identification. Aegis destroyers, and the LHD 1 Wasp-class amphibious assault ships. identification capabilities to support our fleet and allies," said Dr. Alexis C. Systems Division. and October 2005. computers, and logistic support products and services. marine and naval systems, government systems and logistics services. The U.S. Navy has awarded Lockheed Martin Space Systems-Missiles & Space Operations, Sunnyvale, Calif., a $248 million contract for the follow-on production of 12 Trident II D5 Fleet Ballistic Missiles (FBM) and start of the D5 service life extension (LE) program. Production of the missiles will begin in 2002, with an expected delivery to the Navy in 2004. Since serial production began in 1987, the U.S. Navy has purchased 396 TRIDENT II D5 submarine launched ballistic missiles (SLBMs). Globalstar, L.P. brought its next-generation strategizing to fruition with the release of full commercial access of its mobile satellite service in the U.S. through its distributor Globalstar U.S.A. With the recent demise of Iridium, and ICO Global Communications' ongoing recovery from bankruptcy, Globalstar's entry into the market is seemingly ideal. Vessel owner/operators increasingly rely on state-of-the-art communication tools to ensure safe, efficient operations. Much as has transpired in consumer markets, the wider availability of communication technology — and subsequent drive-down of equipment and airtime pricing — fuels airtime usage. North American Power Systems, Inc. (NorAm), a recently-appointed Master Distributor of Perkins engines in Oklahoma, Texas and New Mexico, has appointed Jeffrey Somers as vice president. NorAm, one of 10 Master Distributors for Perkins in North America, supports the sales, service and distribution of Perkins engines and parts through its approximately 100 dealers. Somers was part of team from Warren Equipment Company of Midland, Texas that formed in NorAm in January 2001. Prior to that he served as West Texas Caterpillar’s General Manager- Machine Ship Division. Somers is a business management graduate of the United States Air Force Academy.